The search found 366 results in 0.099 seconds. 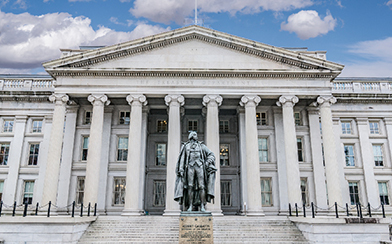 CBS News takes an inside look at the Treasury Department's Bureau of Public Debt, where the financial lifeblood of the U.S. government is tightly managed. I.O.U.S.A. is a 2008 documentary about the America's looming fiscal crisis. The film opened in over 300 theaters, followed by private showings on college campuses, in corporate media rooms and at community clubs. InDebtEd (short for "in-debt education") is a joint campaign by PGPF and MTV's campus network, mtvU, to alert college students to the personal and governmental dangers of financial irresponsibility. The program encourages students to take action to secure their futures. The campaign's aim is to empower young people to protect themselves financially and to work together to advocate government fiscal responsibility in order to change the course of the nation's future. Learn about steps you can take to help cure our fiscal ills. Once we have a plan in place that reduces spending and increases revenues, a strong annual budget process for the government would help us stay on track.